With the increased popularity in catfishing, there are a lot of rods available these days. Mostly talking 7-9ft boat rods for 15-60lbs+ bluecat always using circle hooks. I have listed some of the rods that are available, if you have something you like and its not listed, tell us about it. What's your favorite rod, which rods would you steer clear of? I have a dozen Pro Angler 7'6" MH casting rods, also have 2 Rippin Lips MH and 2 Heavy casting rods. Have fished with several others on the list. Definitely prefer the Pro Anglers. Here's the list, add what you don't see. I understand there are a LOT of custom rods out there, feel free to tell us about them also! I'm sure this has been hashed out many times, but every year there's new rods coming out. If you want to jump in and tell us about your favorite catfishing reel, we'd love to hear about it. I see a lot of talk about MingYang, Zebco Bigcat, KastKing and several other "off brand" reels....lot of people catching a lot of fish and not paying an arm and a leg. I'm like most people, run mostly Abu reels but I'm not too shy to try something new! Last edited by BigPoppa007; 02/10/19 08:19 AM. I’ve run Ugly stix, Denali, Warrior Cat, Pro Anglers, whisker seekers, and team catfish on my boat. Warrior Cat is easily my favorite. 11 stainless eyes and aluminum locking reel seats put these rods above all my others. I still got 6 whisker seekers I been running the last 3 years and I do like them a lot but they aren’t as tough. I have a Denali that my buddy Kyle gave me that I really like but I still like my Warrior cats the best. I’ve caught a handfull of 50s and a couple of 60s on em this winter and they handle big fish nicely. Warrior Cats are about as close to a custom built rod as I’ve seen without the custom price tag. I bought 5 and paired mine with Tekota 500 reels since I troll for cats out the back of my boat 90% of the time and Abus don’t hold up to planer boarding. The Warrior cats have the smoothest pull when drifting which cuts down on eye strain a ton. Best thing about Warrior Cat is they are made in Texas and not China! I choose Texas over China 10 out of 10 times amigos! There is a fine line between fishing and floating around like an idiot!! I don’t catfish a whole lot, usually just a few trips in the winter for big fish so take this for what it’s worth lol. With that being said, I don’t have a whole lot of dedicated cat rigs, so some of my Striper gear does double duty. I do have three 7.5’ MH Pro Anglers with Penn Fathoms I use for catfish only and I have no complaints. They have raised several fish over 35 pounds and always did well. I have three 7’6” Med. Pro Anglers with ABU 6500’s that I use for live bait rigs for Stripers and also catfish. I like them as well, they also have caught their share of decent size cats. The rods I have that don’t work well for large cats, are the Ugly Stick GX2’s. 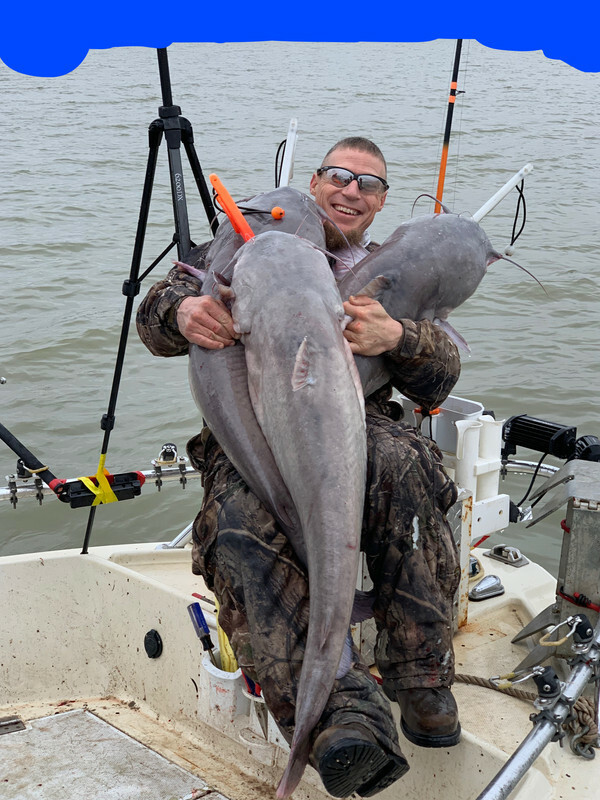 They make a great live bait rig for Stripers, and do well on smaller catfish, but when I have gotten bigger cats, like over 25 lbs, they really don’t have the back bone for them IMO. I’ve fished with a lot of rods over the past 5-6years. Meat hunter, cat fights, TWC, war rods, Rippin lips, and ugly sticks. I have a whole fleet of pro anglers that I’m phasing out to go with whisker seeker heavys. They are hands down my favorite off the shelf rod. To me, they don’t feel as “dead” as a lot of other rods out there, yet are still plenty strong enough to haul in most any catfish. I’m not a huge fan of the reel seat, but I hear they’re coming out with an aluminum one very soon. Between me and a buddy, we have about 6 older models with busted inserts (they’ve since updated the line guides) and wobbly reel seats that I’m going to strip and rebuild. Looking at a slim style aluminum reel seat and some lightweight but strong Fuji guides to outfit them with. IMO, it will be one of the best all around rods for the fishing I do. I wish I could buy just the rod blank they use and build it how I want it from the beginning. I love the action of the Berkeley e-cats but the cork handle on them leaves a lot to be desired. Have a few big cat fever med/hvy they are to stiff for my liking but solid built rods. Picked up a couple of the new big cat fever med action when they were on sale and love them. Good for small fish and feel great on bigger fish. They have a solid aluminum feel seat and the guys that make them seem to stand behind there product. With that being said I won’t pay the full price I will wait till they go on sale and pick up some more. I went with the Rippen Lips. I found Amazon has the best prices and has free shipping. As for reels, not all 6000’s model reels are created equal. 3) 6500 Troohy Collection and Catfish Pro Rockets. 1) 6000, The smoothest of the 3 when properly tuned and will cast further with a 3/8 once lure. Rep stated 20lb mono would push the limits of this reel. 2) 6500C the spool stronger than the 6000. Smooth to cast. Comes in more variables/options thank the 6000. Rep stated 20lb mono was ok.
3) 6500 TC, the Sherman tanks. Even stronger V-spool and Chrome plates heavy brass frame. Some even have titanium. Rep stated 25-30 lb mono was fine. Just like the progression of Ambassadeur reels, Penn reels have made hudge advancements as well. We often overlook saltwater reels, but they are made to tangle 100lb fish. I own a Penn Warfare and a Penn Squal. Both are fine reels and are made for using braided line. All I am saying is that it wouldn’t hurt to at least look at them. On a side note, I really like the feel of the Heavy Whisker Seeker Rod on toads... It has just the right limp in the noodle you know what I mean, and when you have just the right limp in the noodle you can pull off some badass moves!!!! LMAO!!!!!!! Me and my good buddy Micheal Houston with Houston Guide Service!!!!! 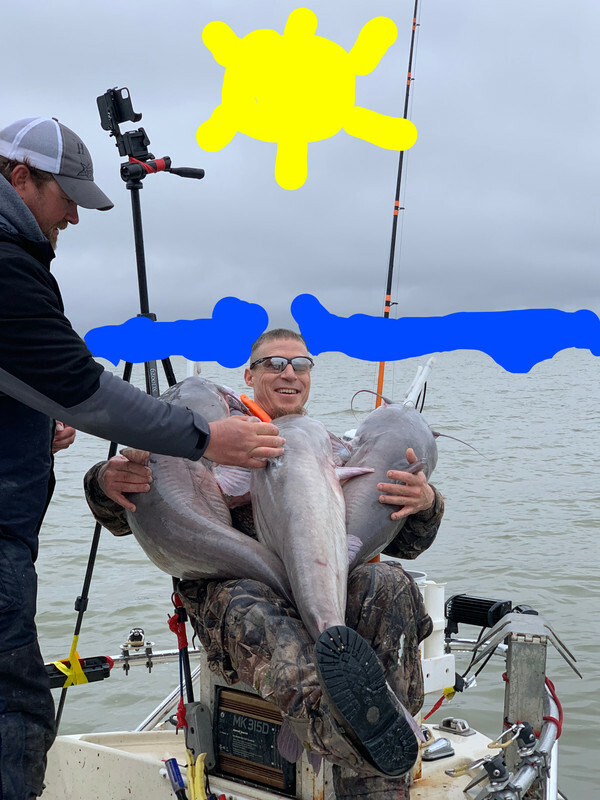 3 Lake Records / 2 All Tackle and counting... And he said unto them... Just go as far as you can see; when you get there, youï¿½ll be able to see farther... Lol!!! I have 8 pro angler rods in my boat. Never broke one. 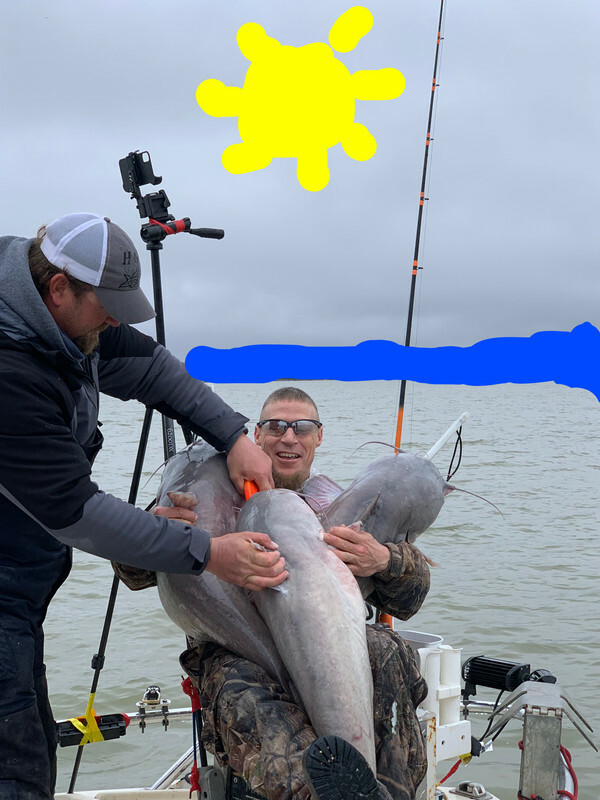 I fish every week in Texas mostly on Fork and Tawakoni. I have fished several others but the promangkers have been the most rugged by far. Catfish at lake fork run around logs. I put lots of pressure on the fish to clear them from the logs. If I am away from trees I catch less fish. You said 15-60lbs. Why not 15-100+lbs?